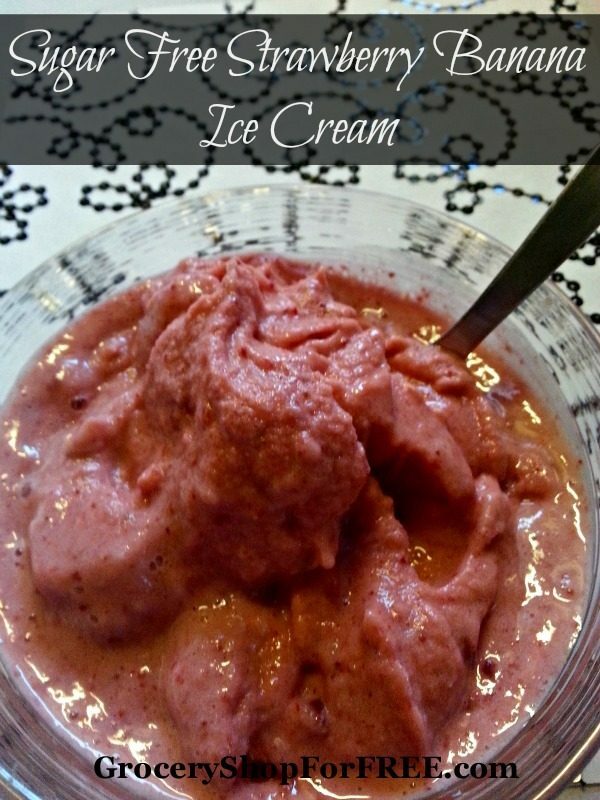 Sugar Free Strawberry Banana Ice Cream! You are here: Home / Recipes / Dessert / Sugar Free Strawberry Banana Ice Cream! One of the hardest things to give up when you are trying to eat healthier and lose weight is dessert, but especially the ice cream. This super easy Sugar Free Strawberry Banana Ice Cream is not only smooth, cold and delicious it is low in calories and healthy. Full of vitamins and flavor it will quickly become a favorite dish to prepare quickly for last minute visitors. Pulse all ingredients together in blender or food processor until smooth. Freezer for 30 minutes to 1 hour prior to serving. A sprig of mint is a great addition if serving at a dinner party. Just because you are watching what you eat doesn’t mean you can’t enjoy some delicious sweet treats on occasion. This Sugar Free Strawberry Banana Ice Cream is a perfect combination with just enough milk to make it feel creamy without the calories. This recipe easily makes 3-4 moderate servings at around 100 calories each. You can easily adapt the recipe to your own preferences with more or less of your favorite sweetener or honey.